Bangkok, Thailand - 07 06 2018: Perspective view of food center at Central Praram9, the biggest shopping mall in Praram9 district. hd00:10Perspective view of food center at Central Praram9, the biggest shopping mall in Praram9 district. Filmed in Bangkok, Thailand on July 07, 2018. 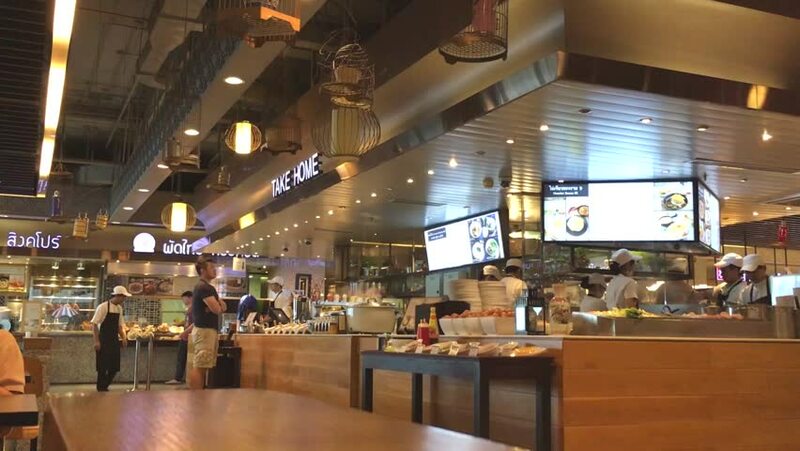 4k00:13SINGAPORE - JANUARY 2016: famous mall cafe down to top panorama circa january 2016 singapore. 4k00:10SINGAPORE - JANUARY 2016: walking by famous city mall cafe circa january 2016 singapore. 4k00:14BANDAR SERI BEGAWAN - CIRCA JANUARY,2019 : People line up for check in at airport counter and traveler walking around.